Cleaning hard floors is officially one of my most hated jobs…ever. I’ve tried a range of methods over the years but I have to say I never really understood the whole mopping thing. Although everything smelt quite good afterwards depending on what I used, I always had this feeling that the mop was just moving mess around the room, rather than actually getting rid of it. Then I invested in a steam cleaner and everything changed. I just felt that steam cleaning had so many benefits over mopping, or scrubbing on my hands and knees, or just vacuuming on its own. However, the steam cleaner for me isn’t practical to get out and set up everyday. Although it doesn’t take long, it still doesn’t feel like the kind of thing I can be doing everyday. It’s more of a once a week thing, to get that really deep clean. So what happens in-between? There are still spills, still muddy footprints and other mess that needs to be cleaned up – what’s the best way to deal with this? The twist action when you squeeze out the water helps prevent floors becoming overly wet, meaning drying time is not much more than with the steam cleaner. 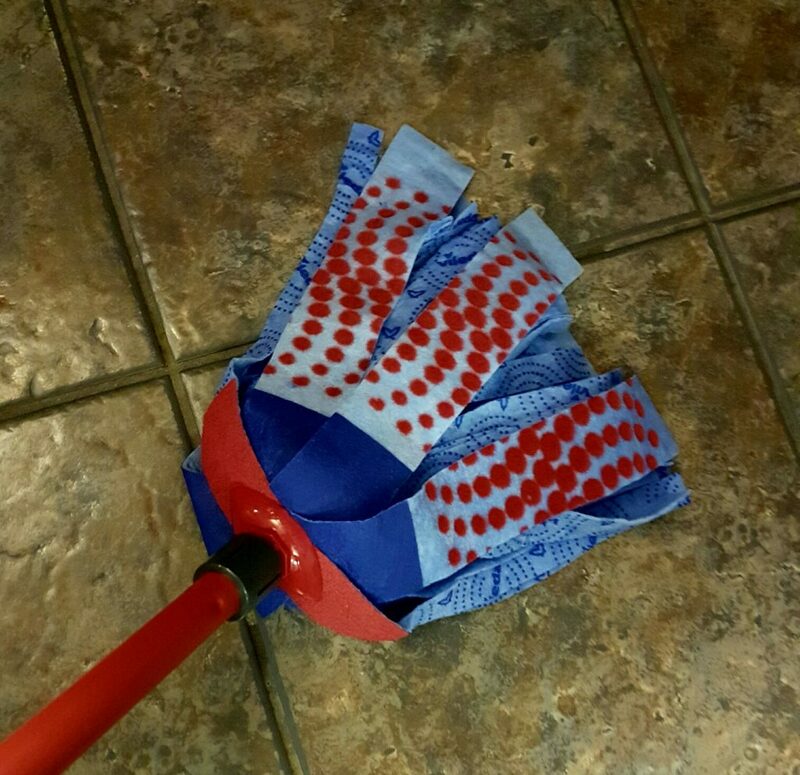 This is a super quick way to either mop up an isolated spillage or mop the entire hard floor area in your home. You can get into corners easily, and awkward and hard to reach areas are no problem with this. 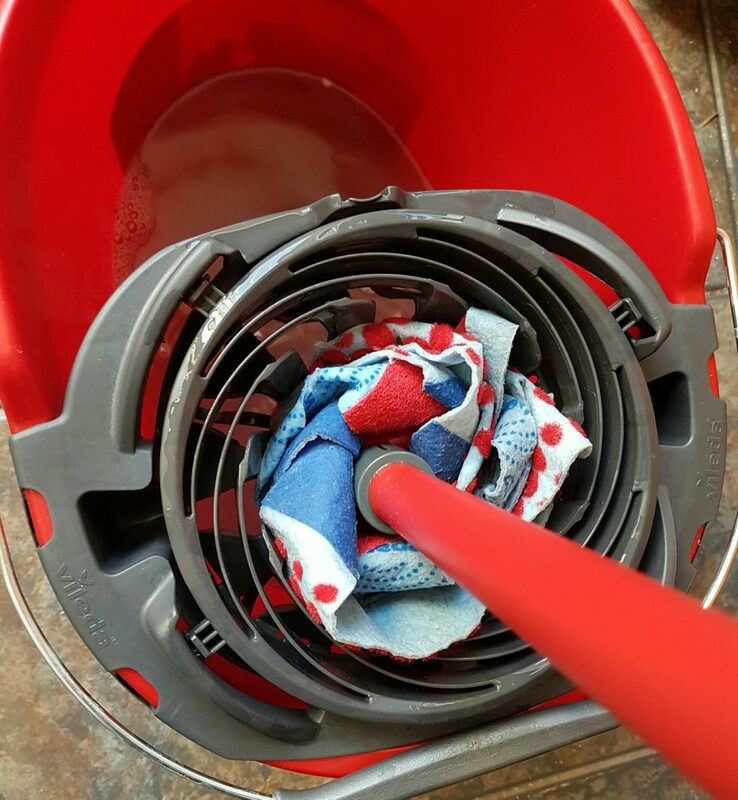 Each time you rinse and squeeze out the mop you can easily see what has come off the floor and there is much less of a sense of moving dirt around than with other mops I have used in the past. This is quick and easy to set up and another useful tool to support busy family life and at £14.99 I really don’t think you can go wrong with one of these. The bucket capacity is 10 litres which is ideal, big enough but not too heavy to carry around. There is an easy spout for pouring out the water afterwards, causing minimal splash and mess. For ease of storage the mop can be taken apart quickly and then stood in the bucket and additional mop heads can be purchased as needed. Vileda have some great cleaning solutions so they are well worth a look. You can also find the best vacuum mop combo online. What is your approach to cleaning hard floors?